Mostly their purchase of almost a quarter of the airline resulted in zero cost cutting efforts. Jet was hurting for years and the fact I cannot point to significant restructuring after the initial EY investment tells us the current management is resistant to change. Couldnt agree more. The rationale behind EY investment was to route long-haul thru Abu Dhabi. Let EY do the heavy 'capital' lifting whine 9W focuses on funneling long haul thru Abu Dhabi. Unfortunately, there are too many ego's in 9W. They (along with many posters here) saw this as benefitting EY but not 9W. Except for a few non-stops to Europe like LHR and possibly a CDG/FRA/AMS, 9W could have moved their entire wide-body fleet to Abu Dhabi and focused on a single aircraft type to drive scale. Even worse is to have your largest investor not benefitting from the investment, i.e. airline loosing money, not funneling pax, while the company you just bailed out found a new friends in DL/KLM. Question to be seen, was this friendship with benefits? Are you sure it was jet's ego or EY's ego? Before the stake sale , the plans were to refurbish the 777s and keep five of them with F for LHR flights while the other five without F , with 9 abreast Y for non stops to US . They had even planned BOM - EWR(daily) , JFK (4 weekly), BOS(3 weekly) and SFO once the 789s (planned to) come in 2017. But what EY did .... neither helped 9W refurbish WBs (after all why would they let them , they have to show it to the public that only ME airlines can offer good products ) nor did they help 9W set up its own network and expand . They tried to hoard everything through AUH , forced 9W to cut domestic routes to use more 737s for AUH . Also they used 9W 77Ws to fly AUH- SFO,JFK etc and charged the same fare for both (their own product and also 9W's product) and no wonder that it led to negative perception of people about jet (of course who'll like to pay same fare for EY A380 F and 9W 777 F). With EY 9W was nothing but a feeder airline benefiting AUH . Thus it was wise for jet to partner with AF-KL-DL . I wish after after this stake sale , the partnership with EY ends for good and all those loss making flights to AUH are withdrawn to increase domestic capacity. EY and Hogan have been discussed separately. Having said that, EY has a few oil wells to back their bad ideas. NG only has SBI. Yes I concur DL/KLM is a better partnership. In any case DL probably gives 2 hoots about BOM hub. Now that they are dominant at JFK/LGA they may appreciate value of a slot controlled airport more. But if u really want to have a discussion on hubs, we can. DL has a record of shutting down/downsizing FRA, NRT, CVG and so forth. In terms of scale they were much bigger than BOM in their heyday. So this thread began weeks ago with PR lobbyists predicting the end of Jet Airways. Its been a month and the airline is still flying! Wonder what is going on? From what I have heard from an airline source, Jet Airways 77W's cannot fly nonstop to the US even with a 9 abreast seating. They opted for the lower MTOW option because their plan all along was to scissor hub out of LHR from destinations in India. An armada of 77W's flying from BOM, DEL, BLR, HYD, MAA, CCU through LHR to various points in the US. That didn't work out too well as LHR's slot costs were too prohibitive. The scissor hub plan has since shifted to BRU/AMS/CDG and so on. They are trying to figure out what will work! Air India on the other hand bet on non-stops to the US so bought the higher MTOW version. This kind of knocked the bottom off the plans 9W had for their 77W's. The only route where their 77W's work for them is the LHR route where they have managed to create a kind of captive market. Otherwise their A330-300's are more than enough for all their international ops. Perhaps its time to retire the 77W's and replace them with A333? Considering the slack in their A330 fleet, it should certainly be possible. What I'd heard from jet airways employees is that if F. was removed and the total capacity was capped at 329-330, (low density but without F), those 77Ws could just do Mumbai to East Coast USA non stop and not further. That's why initially it was planned EWR, JFK, BOS. 2. Withholding commission to travel agents. 3. Late on lease payment. So technically, at least by US standards, they failed. Are they current on fuel? See, by Western standards the airline would have been shut down when they missed payroll. VI seriously cannot understand how Indian companies can be allowed to do so. But they are and thus they have recovery time. It reminds me of more than 40 years ago, when AA decided it wanted to force Braniff out of DFW... and dominate it themselves. Rumors of BI's impending demise... arm-twisting travel agents to avoid putting their clients on Braniff... telling their own passengers that, when an AA flight was delayed or cancelled, there was no BI flight with seats (but there was; I got that treatment once when my AA flight went out)... all in an attempt to destroy another airline's credibility and customer base. Sadly, these tactics - like negative political ads - sometimes work. I hope not in this case. If you took the time to read through this thread you'd know Jet's troubles go much much beyond negative PR. Not to mention, Lounge access to premium passengers has been stopped in BOM. They have huge outstanding fuel and airport charges too, but just pay enough to keep the services going for now. And they also don't seem to be paying enough for their PR firms. As a matter of face, I have read through this thread... but thank you for the advice anyway. There is no question that Jet is having difficult challenges. And there is also no question that employees and/or agents of some of Jet's competitors are using scare tactics to try to further tarnish their possibilities. As I pointed out, I have seen these tactics before; they don't fool anyone who is familiar with them. You mean the entire media ecosystem in India is on the payrolls of Jet's competitors working against Jet? That claim reaches the realm of absurdity. Historically, Pilots in India earn a lot more than any other employees in the country, the assumption is they don't live hand to mouth like employees in the west. So, delaying part of salary will not cause major harm. BTW, vendors inability to pay reasonable salaries is also not a good sign, may not show up on airline book or news. Some may have developed western habits and underwater in debt. Newsworthy but not a widespread issue. Didn't someone familiar with Indian travel agencies post the market holder withholds payments more than anyone else? 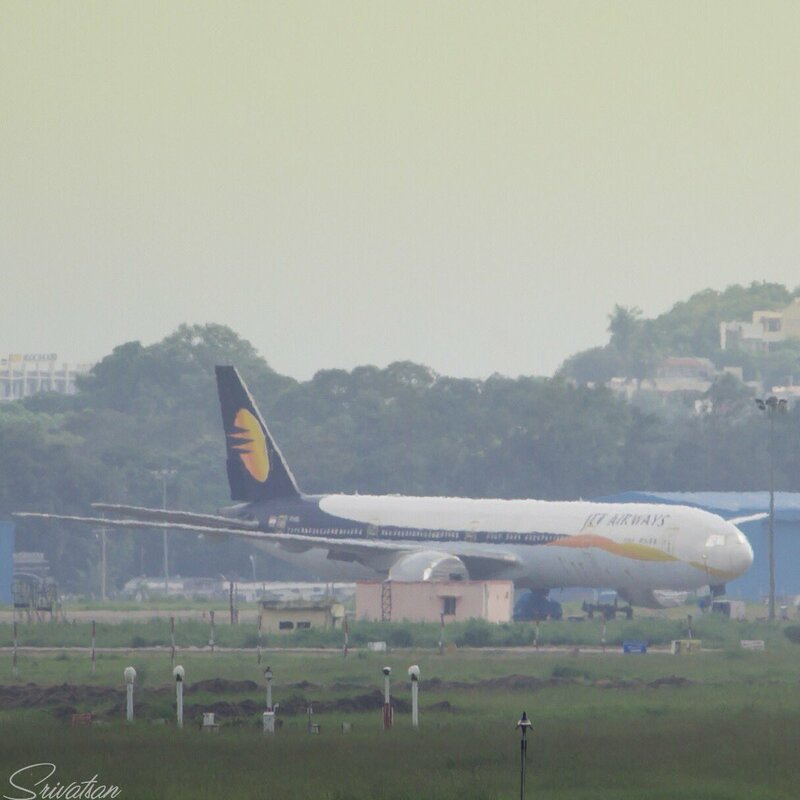 Jet Airways delaying last year bonus, not a big deal. Sure it is bad publicity but TAs know business with which airline is better for them. They are not going to burn the bridges. Almost every airline had missed or delay lease payments at some point or the other, I am sure the IFSD leader is doing a lot of jugglery with hot cash. All it takes is to miss one ball or invoice. Has happened before. Can happen again. In fact has been happening ! BTW much more than 60 days have passed after that "speculative " article published by almost all media channels and on the basis of which this thread started. 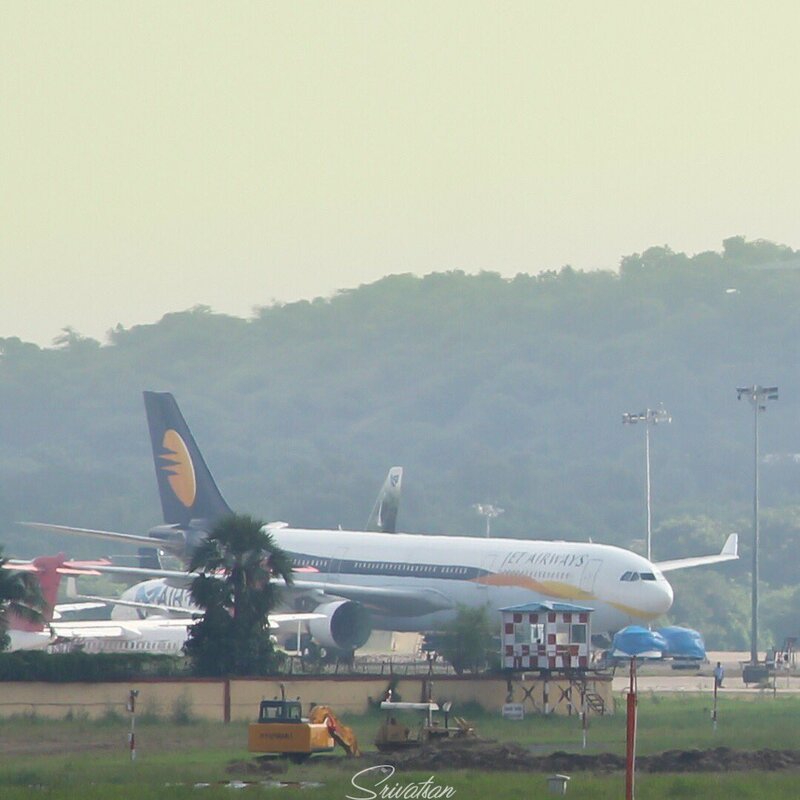 Jet Airways' cash troubles are anything but speculative though. The airline WILL go down if it doesn't raise cash. The goal is to generate enough bad news so people stop buying tickets or travel agents stop selling tickets, and the business goes down. Fortunately, that is not happening. And as long as there is revenue airline will survive. The two worst run airlines are generating almost the same amount of revenue as the "well run" airline, with much less capacity. They have cash for all the above plus the new BOM MAN flights ? What happened about BOM SYD nonstop that was supposed to be launched? SYD was never officially announced. Interesting that gulf frequency is being increased. Looks like gulf from BOM /DEL is more attractive than secondary cities. And as long as there is revenue airline will survive. Do businesses work differently in Amreeka? Because here in India, a business that loses money will eventually have to shutdown unless it raises cash to cover losses. A Net30 customer even with a couple of delayed payments is better than a Net45 customer on my cash flow. Huh? I just don't understand how you are connecting the dots in your post. DL doesn't want to establish a DL hub at BOM like DL had at FRA, NRT. Those days are gone. DL absolutely wants to invest in airlines that have hubs in strong premium markets. BOM is that for India. That is why 9W is valuable to DL. If you look at what 9W is doing, they are cutting back on non hub P2P and moving to consolidate in BOM and DEL - shocker. The former DL employee who is now at 9W (I believe I am right about the person being from DL), is making 9W into a more traditional hub airline. IN fact I would take the opposite of your view - DL wants a strong hub at BOM (and probably only BOM unless DEL/BLR can be PROFITABLE) with 9W running key P2P flights on strong O&D or key international routes (say BLR-AMS or MAA-CDG). Look it opens more opportunities for Indigo and Spice in Kerala and other areas. 1. Not paying salary timely. Basic labor laws ensure this (excluding highly compensated). By Western standards, this is bankrupt. 2. Withholding commission. Changing a contract unilaterally to salespeople is stupid. 3. Missed lease payments. In fact, we had a thread on how Boeing had to move Jet -8 orders from firm. In other words, normal leasing companies are not working with Her anymore. 6. Parting aircraft, probably the most expensive way to get spares. Are they still advertising? Business that stops advertising go under. This is a bankruptcy. The question is, can they remain an opperating entity. Travel agents jump shop to shop. I cannot imagine one burned by Jet being willing to keep selling Jet. I'd like to know how close they are to being a non performing asset. Heck, I'd like to see the same information from AI. The former DL employee who is now at 9W (I believe I am right about the person being from DL), is making 9W into a more traditional hub airline. They opted for the lower MTOW option because their plan all along was to scissor hub out of LHR from destinations in India. An armada of 77W's flying from BOM, DEL, BLR, HYD, MAA, CCU through LHR to various points in the US. That didn't work out too well as LHR's slot costs were too prohibitive. The scissor hub plan has since shifted to BRU/AMS/CDG and so on. They are trying to figure out what will work! Air India on the other hand bet on non-stops to the US so bought the higher MTOW version. This kind of knocked the bottom off the plans 9W had for their 77W's. 9W have had their 77Ws for how long? 2008? So it has taken them 10 full years to "figure things out"? 8 if you count the move from BRU to AMS/CDG happened about 2 years ago? AI started flying non-stop to USA only around 2012. Up to that point they were running their flights out of the FRA scissor hub. So that's 4 years before the "bottom got knocked out of 9W's plans". 9W did not do their due diligence on cost of slots at the poster child of slot constrained airports before committing to an "armada of 77Ws". And yet here we are debating PR hatchet jobs and singing paeans to NG's legendary fundraising. The first step to solving a problem is to recognize there is one. If you look at what 9W is doing, they are cutting back on non hub P2P and moving to consolidate in BOM and DEL - shocker. The former DL employee who is now at 9W (I believe I am right about the person being from DL), is making 9W into a more traditional hub airline. IN fact I would take the opposite of your view - DL wants a strong hub at BOM (and probably only BOM unless DEL/BLR can be PROFITABLE) with 9W running key P2P flights on strong O&D or key international routes (say BLR-AMS or MAA-CDG). Maybe they should just get about 20 789's in dense config. and phase out their entire current WB fleet. But again they don't have cash to procure them. Maybe EY should lend them theirs since they themselves cutting back. Having just 789s won't help. As against what many think, having single fleet type for int'l doesn't help because the flights done are of either different stage lengths or different demands. At LHR for example, they can't get more slots so with existing slots jet has to use the larger 77W . At routes like BLR AMS etc a333 is more economical than 789 . You can get good advantage of 789s if you fly ULH. Sure, call it whatever you want. DL has 1000 odd flights out of ATL. At AMS, it has non-stops to US from about 12-15 cities. What sort of hub do u think will it run out of BOM? So Jet airways has been running a fire sale of seats for the last few days and they have extended it by another couple of days. Te fact that the airline resorts to promotional fares during the busiest travel period in India should tell you a lot about the desperate cash crunch at the airline. This is straight from the playbook of SpiceJet in the months leading to its operational meltdown. I am under the impression we are still in the ramp up to busy season in India. Or is Jet Discounting December & January sales? I personally do not see Jet opperating with the efficiency to attain premium last minute fares. Which begs the question, are last minute fares in India still incredibly depressed? If so, that doesn't bode well. As long as 9W remains alive and keeps expanding as this thread clocks up the pages, I would say that there is more than meets the eye on this one. I wouldn't hire someone who makes this statement but how exactly is this relevant to this discussion again? The airline is still running so obviously everything is alright with it. I guess I stand corrected then...Thanks! So did they run their JFK/EWR non-stops when they were running ORD-FRA-BOM and EWR-FRA-AMD? Yes they did (JFK not EWR) . It was alongside their FRA hub plans. Wonder if their international partners are assisting, by funding / discounting overseas landing fees, fuel and accommodation for them? Overseas airports and fuel companies not known for their generosity. The drop in fuel prices could save them. I didn't go through the whole thread but what seems to be reason for their troubles ? Are nonbudget airlines too expensive to operate in a Indian market which is highly price sensitive ? But if I remember , a few years back their were some retrenchment attempts by Goel but were hampered by the local goon parties of Mumbai. If you are talking about the time when jet fired 1900 cabin crew all of a sudden followed by Raj Thakeray entering and saving those sacked employees, then that happened years ago when the airline was in a much much worse situation and was too desperate to save cash . Any ways the whole thing was done without any plans so the employees had to be taken back . It's after all a matter of 1900 people losing their job, most of whom were pursuing their graduation and thus, were not in a position to get such jobs elsewhere. Raj Thakeray did the right thing by forcing jet to take back the employees. Jai Ho Raj Thackeray ... no politics in this forum but when local goons start dictating terms to corporate entities - does not say much of business climate. That said - it is not jet airways or its shareholders responsibility to provide employment to 1900 people they do not need . Presume many were hired due to local goon politicians wanting them tk be hired in the first place . Bombay and kolkata politicos don’t make it easy to run commercial operations . Low ATF prices will definitely help because that is probably #1 cost, but continued revenue stream and diligent cost control will definitely save them. Depends on which LCC you are talking about, Air India Express made a tiny, tiny profit even with fuel hike. Indigo's non-fuel cost is out of control, you don't need 100 new employees for every plane you add. Southwest still has 58 even with a fleet of 600. I request you to look into the entire story before jumping into such conclusions. No employee at jet is hired due to "political reasons" . The 1900 people in this case consisted of those who had already served the airline for some time and good amount of them had nice performance history. Imagine going to your office some day only to know you've been sacked for no mistake of yours and by a company who had themselves chosen you. Only then you'll understand how the situation becomes. None of those 1900 were children of any MP. There might have been a miscommunication at the HR dept which led to this. To rationalize your staff costs, this isn't the way and will obviously attract protests and political pressure to take back your own loyal people . The beginning of their troubles can be traced back to mid 2000s when the double whammy of rise of LCCs and the drop in travel demand following the GFC put a wrench to their business plans. They did not post a profit until 2015 when fuel prices eased up. All the while they have been surviving on debt, cash from leasing out wide bodies and equity from Emirates. Fuel prices have gone up again, and they have nowhere to hide now. Drop in fuel prices might provide some respite but their major concern now is Rs 3,000 debt has to be repaid this year and no bank is willing to lend them a rupee. Imagine going to your office some day only to know you've been sacked for no mistake of yours and by a company who had themselves chosen you. Happens daily all over the world, including India. Politicians are useless leeches so lets not defend them. If private companies start operating at the directions of politicians , government will have to open permanent loan facilities for them like they have for air india. Maybe jet would not be in the mess it finds itself now , being prevented from right sizing its work force. Yes I know that happens but not with 1900 at one go. However another poster thought that those 1900 were hired due to political reasons which is baseless and incorrect as I pointed in my post. Does anybody here know what the loads are on 9Ws new route BOM-MAN? They had increased the frequency from 4 to 5 times a week even before the inaugural flight due to positive bookings so hopefully they are doing well on this route.